Object fell over Aba Panu, Nigeria on April 19, 2018. The Aba Panu meteorite has a recovered mass of 160 kilograms. 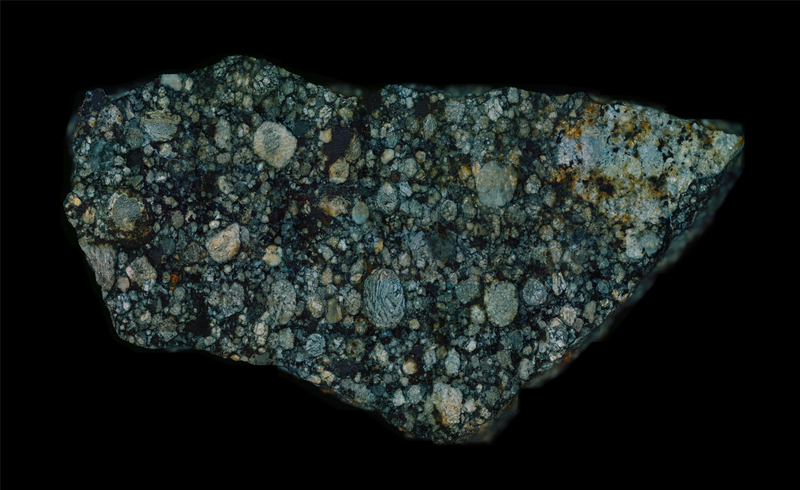 Shown here are many interesting chondrules in a wide range of sizes.